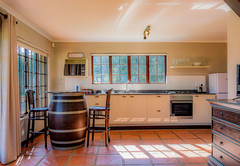 Springholm is a highly recommended property providing self catering in Nottingham Road for tourists visiting the Natal Midlands region. 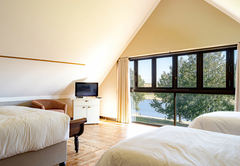 Situated in Nottingham Road, Springholm offers self catering accommodation. Fishing, rowing boats, picnics and lovely walks are just some of activities you can enjoy during your stay with us. 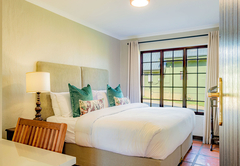 The Midlands Meander includes fabulous shops, breweries, eateries and activities; a wonderful way to spend a day. 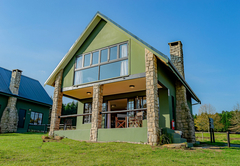 Our three log cabins and three chalets are fully equipped to ensure a comfortable stay. 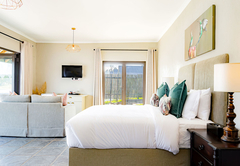 We also have two en-suite rooms equipped with bar fridges as well as tea / coffee making facilities. 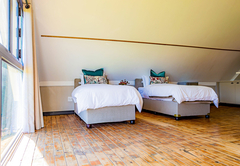 There are three family chalets which include a double bed in the one room and two single beds in the other. The lounge is equipped with a fireplace and a heater. 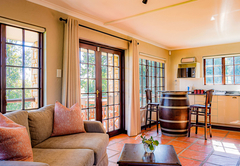 The chalets are fully equipped for self catering and there are braai facilities on the furnished patio. 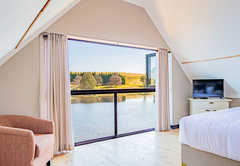 The log cabins are situated on the waters edge overlooking a large trout dam. 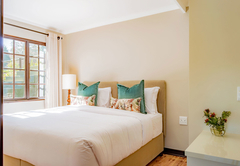 There is a double bedroom and two single beds downstairs. 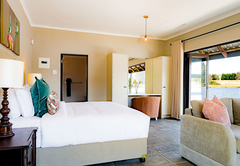 The cabins are fully equipped for self catering and have an outside deck with table, chairs and braai facilities. 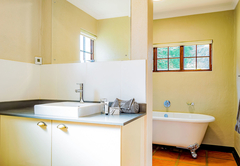 The double room has an en-suite bathroom with a shower, toilet and basin. Tea / coffee making facilities are provided. 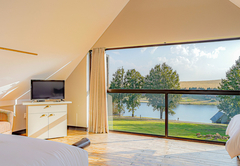 The rooms are located alongside the main house and have views of the dam. Springholm has two large dams which are home to brown and rainbow trout. The larger of the two is 3.5ha. We offer fly fishing on a catch and release basis and strictly barbless hooks only are to be used when fishing. The well-kept lawns and indigenous trees offer inviting places to relax and enjoy a picnic beside our dam. The neighboring game farm, Eagles Crest, provides interesting game viewing. Animals from zebra, hartebeest, blesbok, wildebeest and eland can be seen grazing from time to time. 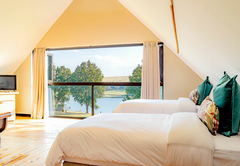 The log cabins are situated on the beautiful waterâ€™s edge overlooking the large trout dam. 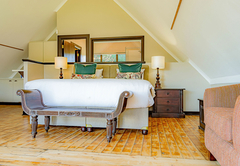 Double bedroom downstairs, two single beds. 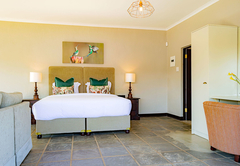 Sleeping a maximum of 4 people and is fully equipped for self-catering. 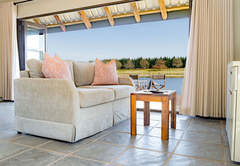 Outside deck with table, chairs, and braai. Really awesome. Fantastic host and stunning venue. Response timeSpringholm typically responds to requests in 5-10 minutes.